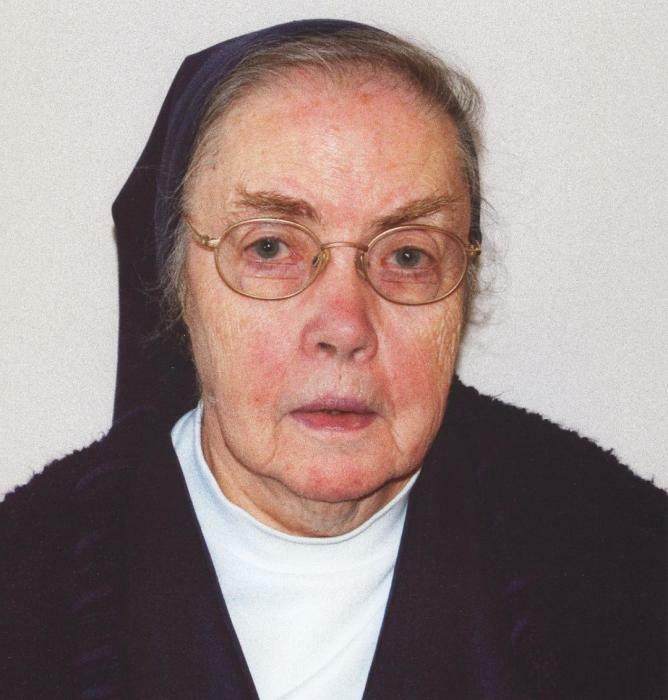 Sister Mary Patricia (Ann) Murtagh, age 87, died at Villa St. Michael in Emmitsburg, Maryland on November 23, 2018. She was born on July 28, 1931 in Albany, New York, one of four children born to Patrick Joseph and Mary Catherine (Ahern) Murtagh. Sister Mary Patricia joined the Daughters of Charity on June 24, 1952 in Emmitsburg, Maryland. After a period of formation, she was missioned to teach at St. John School in Baltimore, Maryland (1953-1955). Following this, she began her ministry in nursing: Providence Hospital, Washington, DC (1955-1957); St. Vincent Hospital, Bridgeport, Connecticut (1957-1958); St. Ann’s Infant Home, Hyattsville, Maryland (1958-1962); Villa St. Michael, Emmitsburg (1962-1974); and Jenkins Memorial Home, Baltimore (1974-1977). She then returned to Villa St. Michael as a nurse (1977-1985) and to St. Ann’s Infant Home first as a child care worker and then as a nurse (1985-1994). Sr. Mary Patricia’s next mission was to serve in Pastoral Care in St. Vincent’s Medical Center, Jacksonville, Florida (1994-1996). Her last mission was in 1996 to Villa St. Michael where she served in various ministries, including the Ministry of Prayer, until her death. Sister Mary Patricia earned her Bachelor Degree in 1959 from Catholic University of America in Washington, DC. She was preceded in death by her parents, her sister Mrs. Pat McCue, and her twin sister Mrs. Edna McCullen. She is survived by her sister Mrs. Peggy (Frank) Kelly, nieces and nephews, and her sisters in community. A wake service will be held on Wednesday, November 28, 2018 at 7:00 pm in the Villa Chapel in Emmitsburg. A Mass of Christian Burial will be celebrated on November 29th at 11:00 am in the Villa Chapel. The Burial will follow in Sacred Heart Cemetery. Arrangements have been entrusted to the MYERS-DURBORAW FUNERAL HOME in Emmitsburg, MD. In lieu of flowers, memorial donations may be made in Sister Mary Patricia’s name to the Daughters of Charity, 4330 Olive Street, Saint Louis, Missouri 63108.